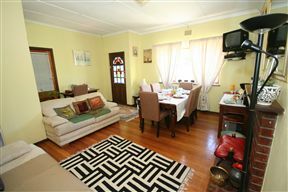 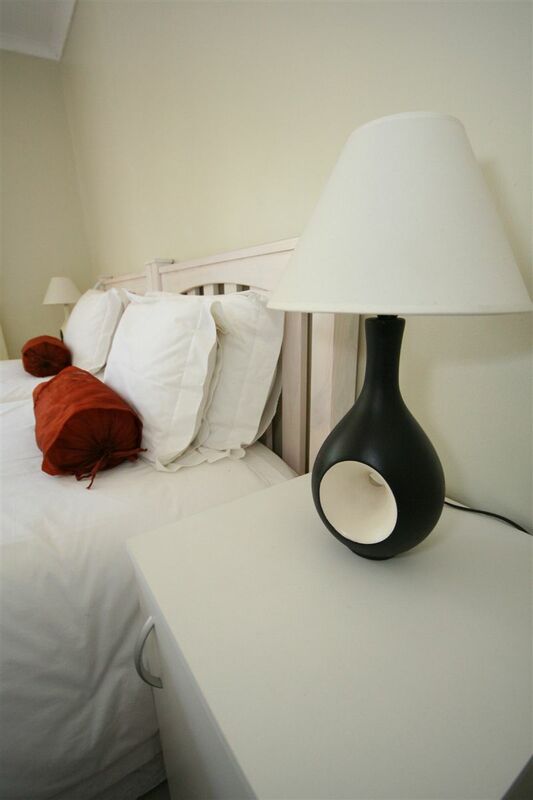 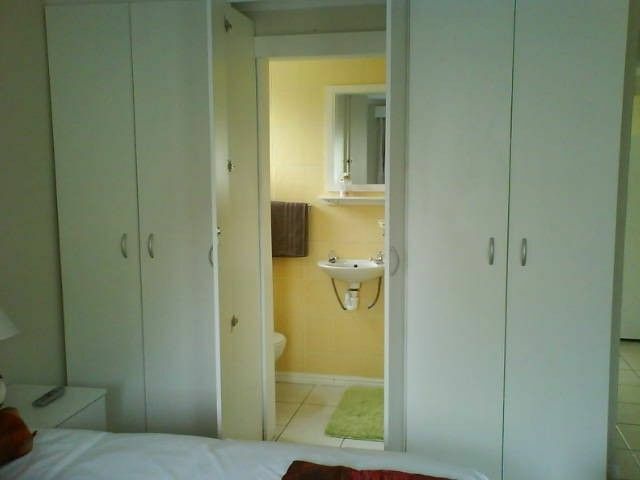 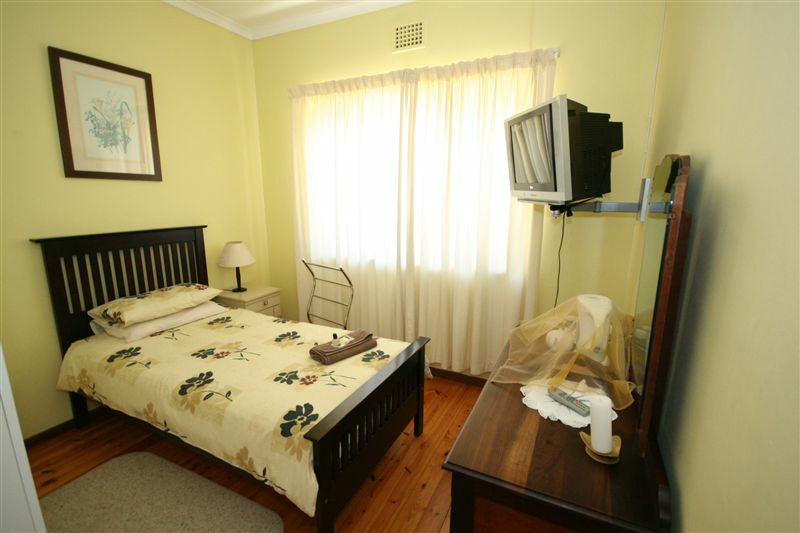 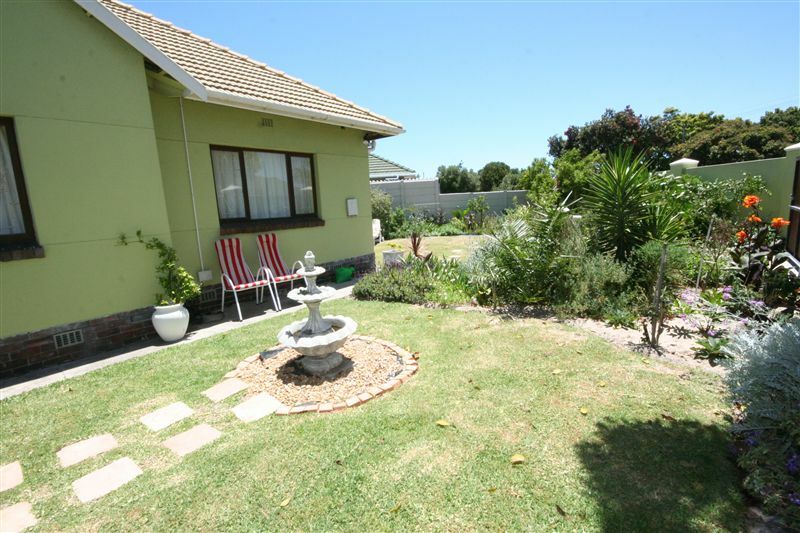 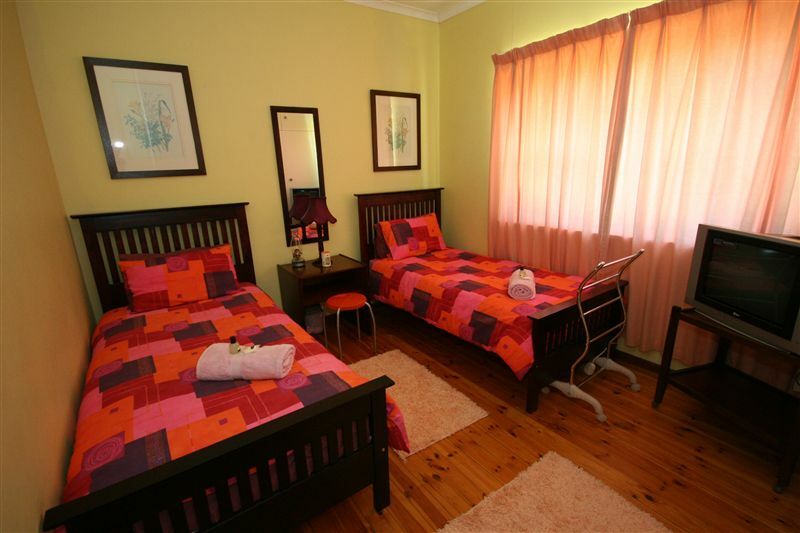 41 on Cedar Bed & Breakfast “your Home Away from Home” is situated in Thornton, one of Cape Town’s leafy northern suburbs, in tranquil surroundings and in a beautiful walled private garden setting, where you can kick back and enjoy your stay. We are conveniently situated for both the leisure and business traveller and located within easy access to local business and tertiary education districts such as Old Mutual and Cape Town Technical College. 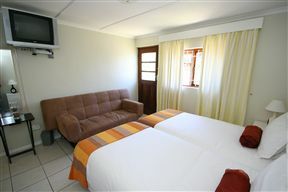 Table Mountain, Cape Town City centre and Cape Town International Airport are all about 10 minutes drive away (off peak times) and we are also situated very close to the following national roads: N1, N2, N7 (which takes you directly up the West Coast) and for even more convenience, the train station is 5 minute walk away, with all usual amenities you can expect in your own home 41 on Cedar B&B is truly your “home away from home” experience. We are a Strictly “halaal” establishment with no liquor served on premises.Breakfast is on request, please enquiry accordingly. 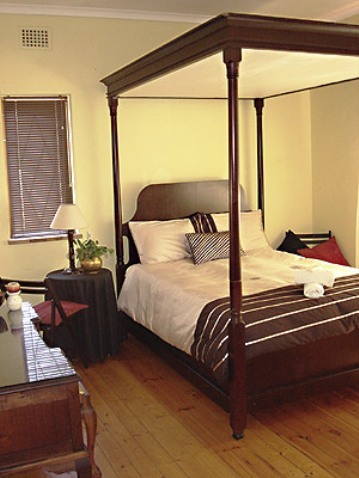 Victorian style with four-poster bed, TV, tea/coffee facilities and WIFI. Two single beds, with a shared bathroom, TV, tea/coffee facilities and WIFI. King size bed or can change to 2 single beds, TV, tea/coffee facilities and WIFI. 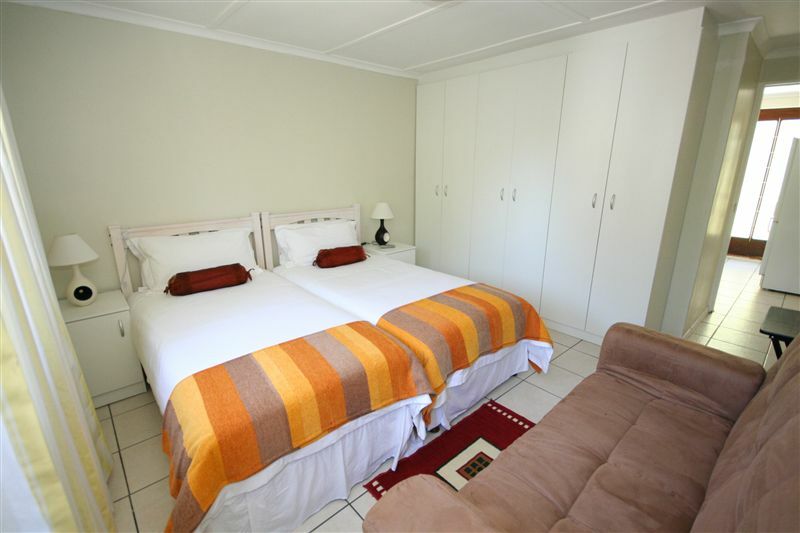 This self-contained cottage offers fully equipped kitchen, one en suite bedroom with kingsize, twin beds and a double sleeper couch, perfect for a couple or small family with one child under 15 or toddler. even suitable for 3 adults. Kingsize bed or twin beds, TV, tea/coffee facilities and WIFI. 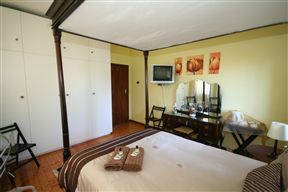 twin beds on request room can also be converted to a kingsize bedroom , TV, tea/coffee facilities and WIFI.